Adds Gigabit Ethernet copper connectivity to XSM7224S and GSM7328FS. Fits into standard SFP slots. 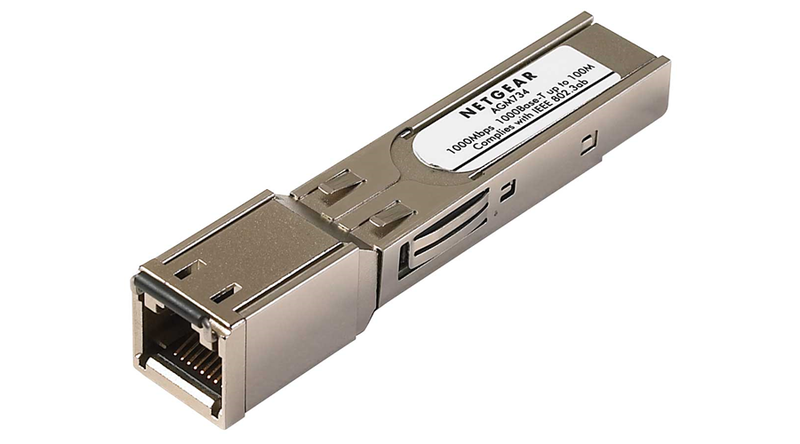 Drives Gigabit Ethernet up to 100m distances with CAT5E/CAT6.